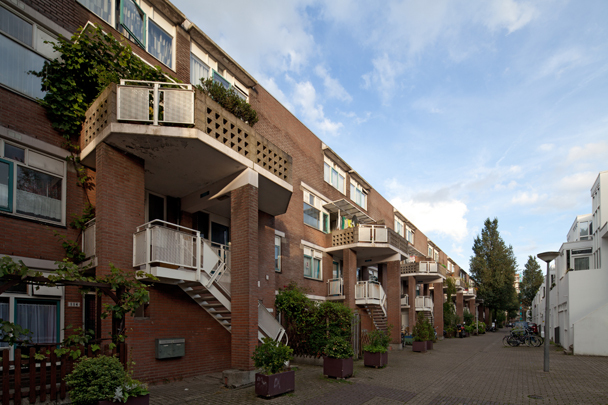 Closed to through traffic, this 7 metre wide 'woonstraat' (living street) was designed to be, and is, frequented by residents and playing children. Off this pedestrian street are all entrances; a modified porch provides access to two layers of maisonettes. Entrances combine without door areas -a partly sheltered balcony for upper dwellings and terraces for the ground floor. The north side is a blank, elongated 'city wall', enlivened only by projecting bays.